u/pimathbrainiac’s Reddit post about concrete signs the 64-bit Eve client is near. Dotlans listing of current active Wars in New Eden. Ashterothi’s Crossing Zebras article about the state of the WarDec Mechanic and Wars in New Eden. “The Goo must flow, everything about Refineries and Moon mining” Dev Blog by CCP about introducing the new moon mining mechanics and structures. 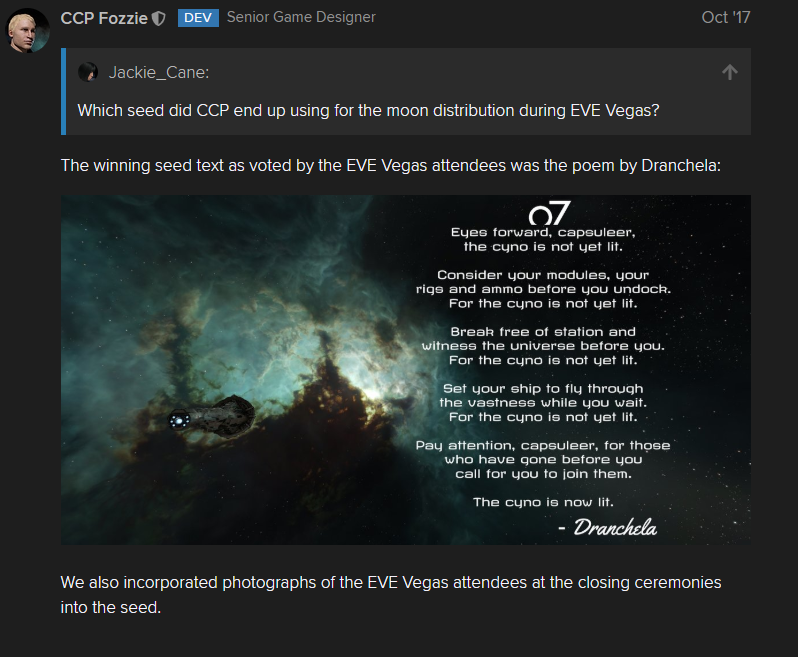 The Final winning entry as voted for by Eve Vegas atendees to be used as the basis for the moon material distribution ‘seed’.